Dharma espresso is crafted to be both a great sipping espresso and a creamy, chocolatey cup of goodness when combined with milk. 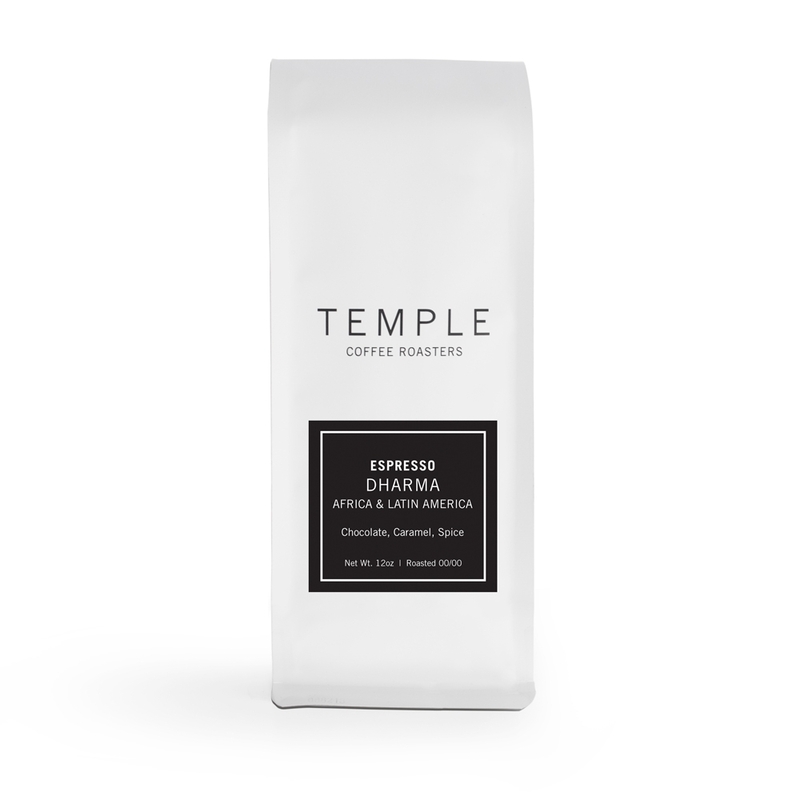 It's roasted and blended with some of our most exclusive Farm-To-Cup coffees: Brazil Matas de Minas, Ethiopia Sidamo Mulish, and Costa Rica Sonora Estate Red Catuai Honey. You may recognize some of these coffees for their high rating on Coffeereview.com and wonder why we are blending them. The truth is we just want to create the best possible coffee we can.